Before Door County became an arts destination with more than 100 galleries, the peninsula and its islands were largely a blank canvas. A place of natural beauty just waiting to inspire painters, sculptors, potters, and even landscape architects. While nature inspired art, the county’s artists returned the favor by testifying to the natural beauty of the peninsula, inspiring conservation that has preserved its most cherished landscapes for generations to come. 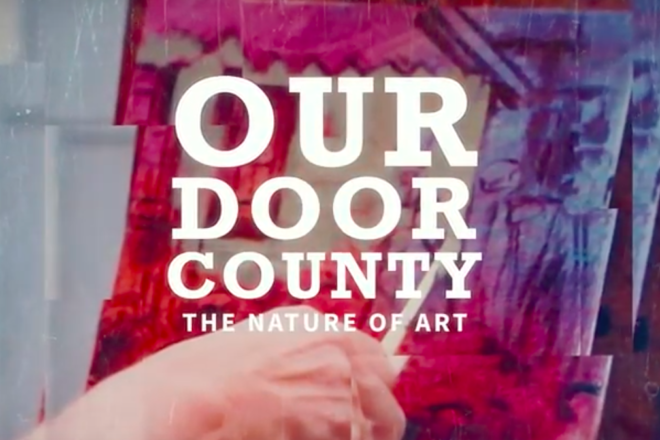 In this episode of Our Door County video series, we find out more about the connection between art and nature, both how nature inspired the first wave of artists to come to the county, but also how the work of those artists helped establish the importance of preservation. That early wave included pioneering landscape architect Jens Jensen, who after a long career shaping the parks of Chicago, moved to Door County and established a new legacy at The Clearing Folk School. There he brought artists, writers, and thinkers to Door County, where they would be inspired by the sublime natural environment. He became good friends with a young artists named Gerhard Miller, who would go on to become one of the county’s most important artists and founded the Miller Art Museum. Soon after Abe Cohn would be one of the first artists to own his own studio and gallery. His influence would draw dozens more over the years, aided in part by an appearance in National Geographic magazine. Madeline Tourtelot was one of the most unique personalities to ever appear on the Door County scene. A dancer, artist, and photographer, she founded the Peninsula Art School (now the Peninsula School of Art) and provided a gathering place for the first wave of artists to flock to the county.